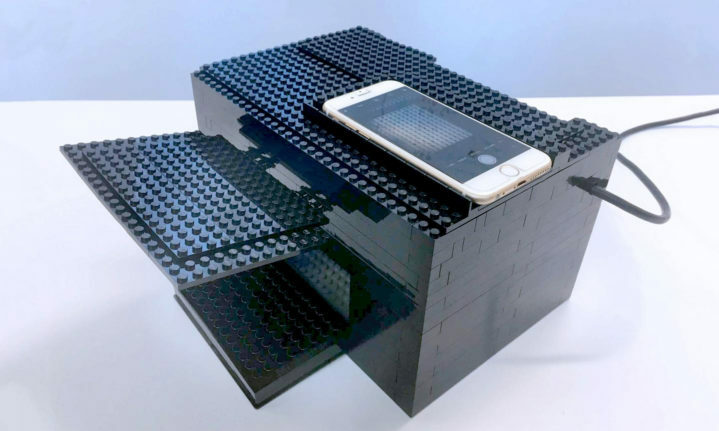 A group of researchers has developed a way to detect several potent neurotoxins using a simple setup consisting of a smartphone and a box made of Legos. This invention could help first responders identify potential neurotoxins faster and make treatment quicker and more effective. The best way to determine what neurotoxin is present is to mix it with an indicator chemical. These chemicals glow faintly when mixed with certain neurotoxins, and the colour and brightness of that glow changes depending on the neurotoxin. These colour and brightness changes are pretty subtle, however, and human eyes alone aren’t good enough to tell the difference. That’s where the smartphone and Legos come in. Smartphone cameras are good enough to detect the small changes in colour and brightness with the indicator chemical, and with a specialized box—made of Legos, of course—to keep the sample in the dark, scientists and first responders can identify neurotoxins quickly and cheaply. Hopefully they never have to use it.